Lots of exciting smartphones are going to launch during the upcoming future with Galaxy S10 leading the way. However, this doesn’t necessarily mean that Galaxy S10 is going to be the most powerful flagship device to launch in 2019. Just take for example the new Vivo iQOO which has been recently spotted on GeekBench. Vivo iQOO is a next-generation flagship smartphone that focuses on delivering super impressive hardware performances. We got lucky and the smartphone was spotted last night on GeekBench. The great thing about this is that the GeekBench report shows exactly just how powerful Vivo iQOO will be and what kind of specs it will have to offer. Vivo iQOO scored 1177 points in the multi-core test and 1302 points in the single-core test. These results are impressive and the reason why Vivo iQOO managed to pass the CPU tests with flying colors is because the smartphone is powered by Qualcomm’s latest octa-core Snapdragon 855 CPU. As previously mentioned, Vivo iQOO is equipped with Qualcomm’s octa-core Snapdragon 855 CPU. This is the most powerful mobile processor available on the market and therefore, Vivo iQOO is going to be able to take care of heavy-duty tasks without any problems. To make things even better, Vivo iQOO’s highlight specs were leaked earlier today. The powerful Snapdragon 855 PCU is paired to a whopping 12GB of RAM and 256GB of internal storage space. Not only that, but the smartphone supports NFC connections and it uses a 44W fast charge which means that Vivo iQOO’s battery will fill up to 100% in no time. 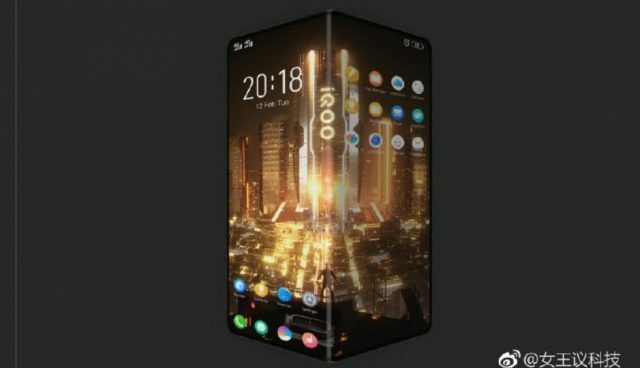 Talking about Vivo iQOO’s battery power, the smartphone will ship with a massive 4,000 mAh battery. We should also note that Vivo has equipped the smartphone with a USB Type-C port, 4D shock and Super HDR camera technology.